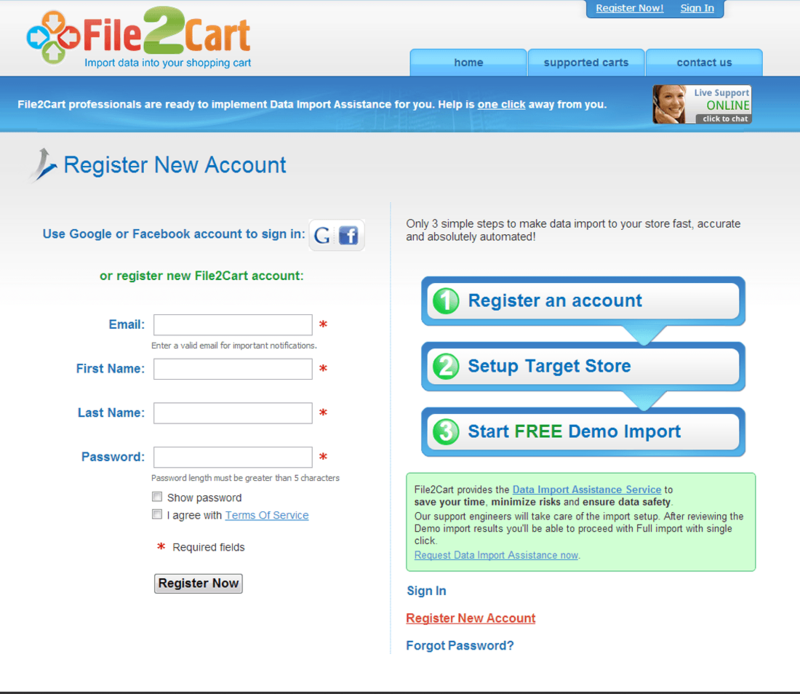 To get started with File2Cart all you need to do is register an account. It is completely on the web. It will take you only a few seconds. 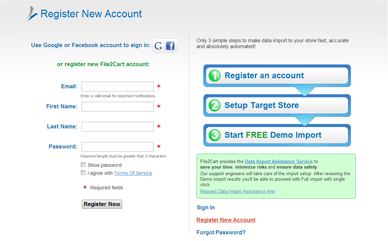 For your convenience you can sign in with your existing Google or Facebook account. 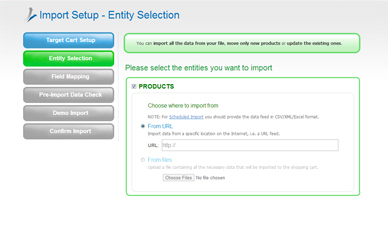 Within your admin panel go to Proceed to import setup. 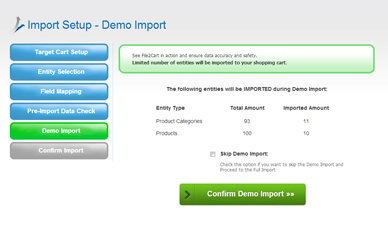 Only six simple steps and you will be able to import all the necessary products to your online store. 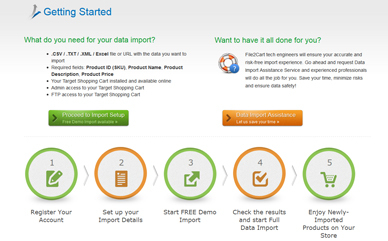 Specify the details about your Target Cart, the shopping cart you want to import data to. 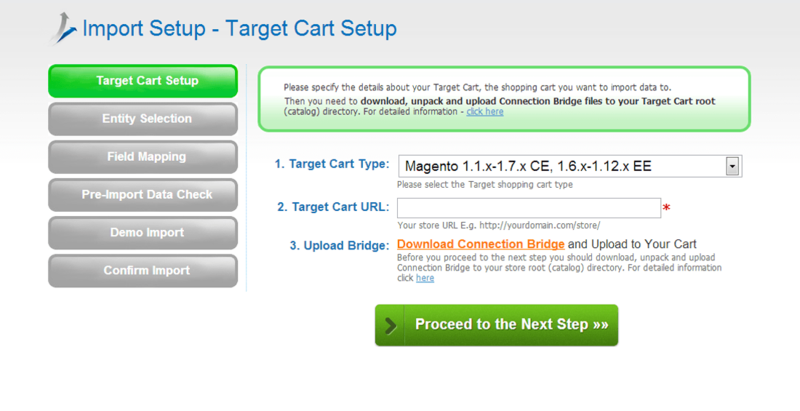 Select your target cart version. This would include cart type and its URL. Before proceeding to the next step, make sure to download and set up the Connection Bridge. 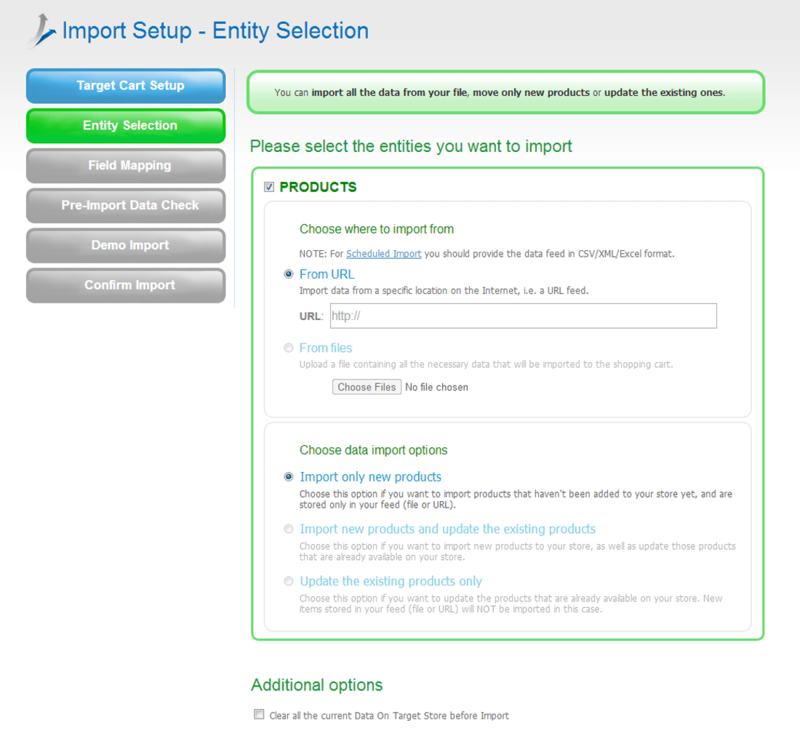 Select the items you’d like to import - products, product images, categories, manufacturers, etc. After that choose how will you import your data. You can upload a file from your computer or provide its URL. 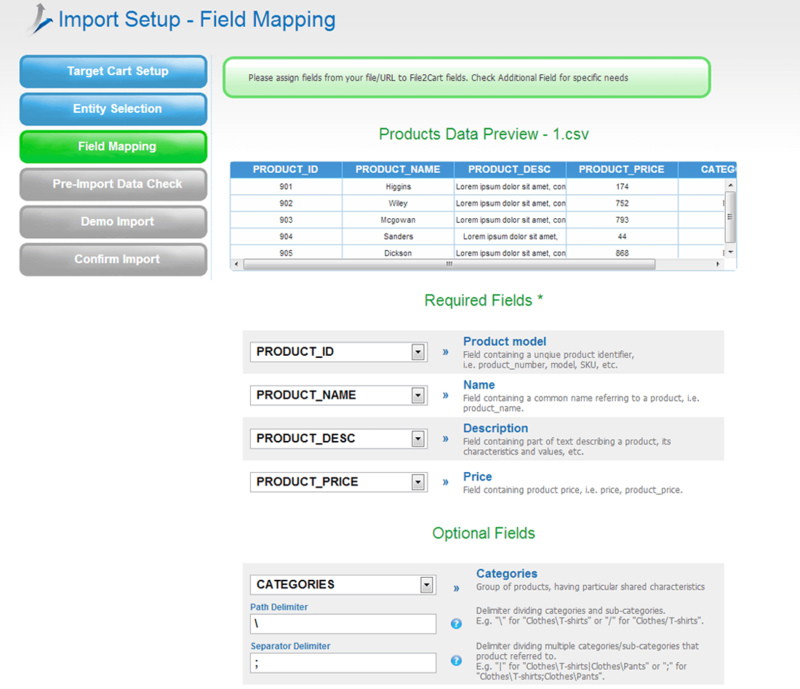 From the drop-down list you need to map fields in your source file to the corresponding product fields on the target cart. If needed, you can fill optional and additional fields. 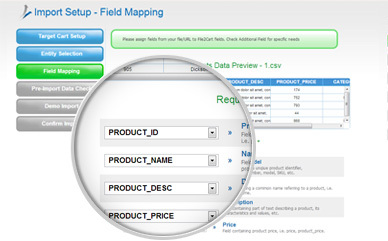 There is a product data preview for your convenience. 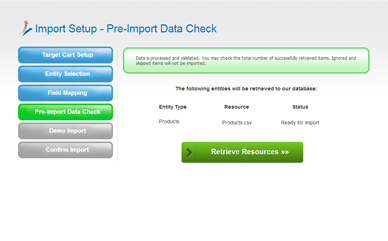 Before proceeding with your data import, double-check the entities chosen for the process. As long as everything is fine, you can start to retrieve the resources. 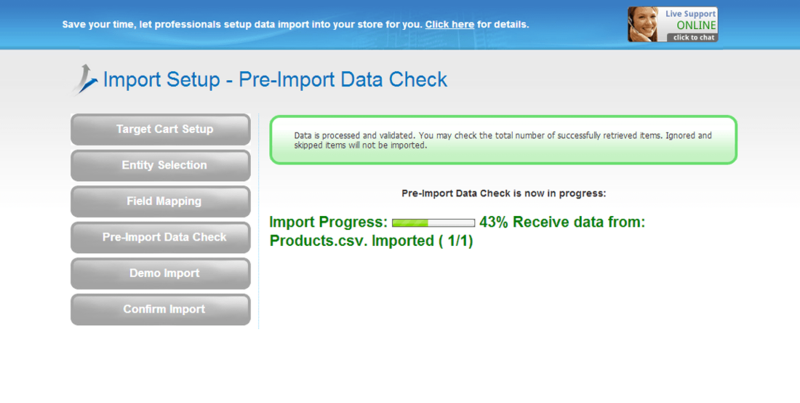 Do not close your browser until the pre-import data check is done. Right after that, you will be able to complete data retrieval. 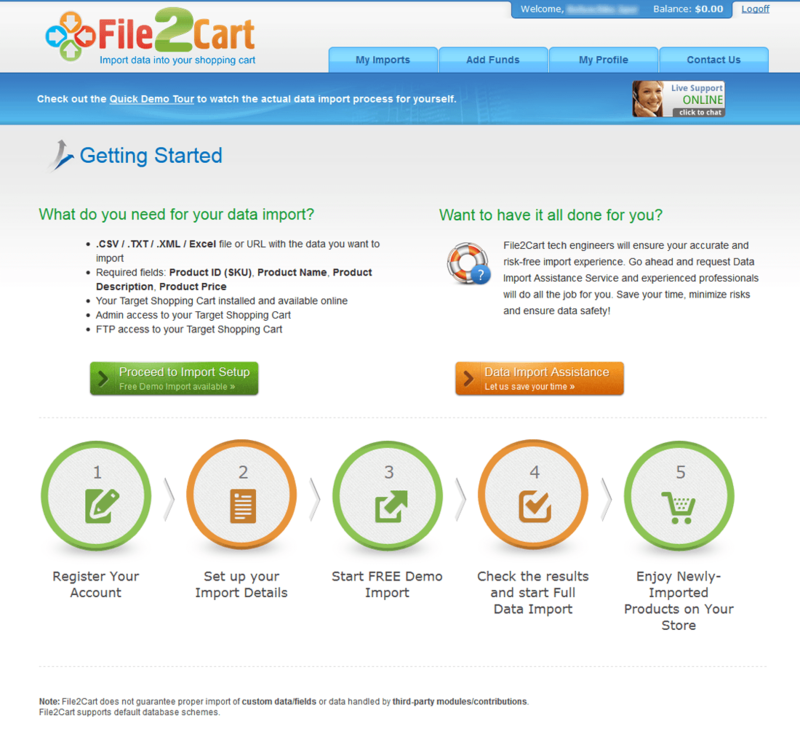 Try out the free import of 10 products/categories to see File2Cart in action. You can skip this option, if you want, however it is highly recommended you perform the free data import to ensure service accuracy. 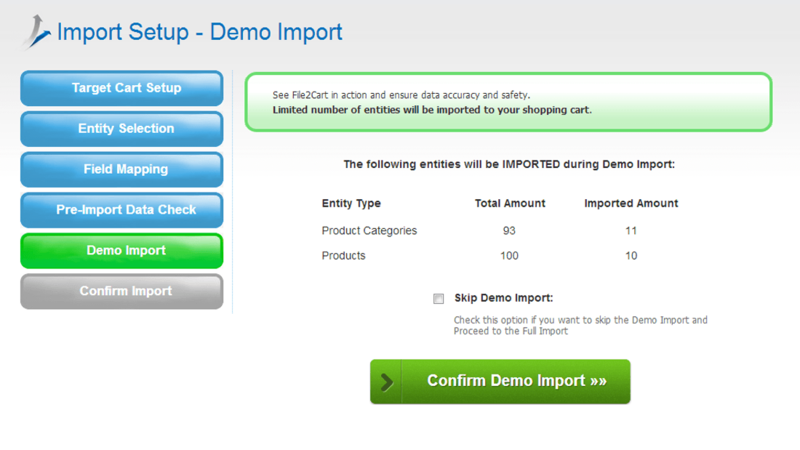 As soon as Demo Import is complete, go to your Target Cart to check the results right away. 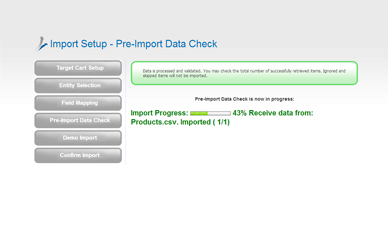 Now all is set for you to start your Full Data Import. If you have a discount coupon code, include it in the appropriate field. Click the Full Import button. 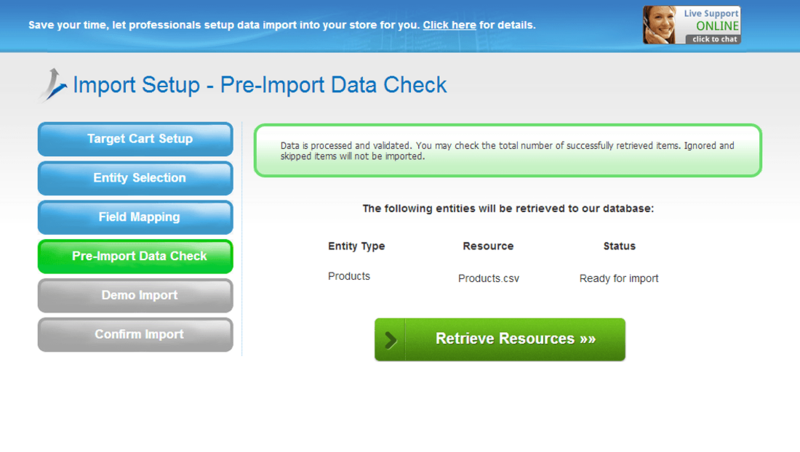 10Enjoy Your Data Imported to Your Store! 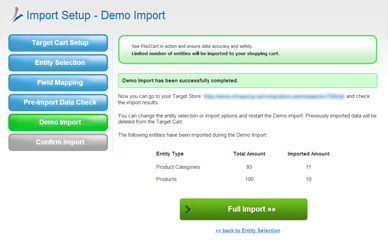 When the Full Import process is done, you can check out the results on your target store. and So, that’s it. 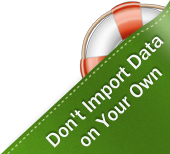 Enjoy the benefits of having your data import as easy as that! 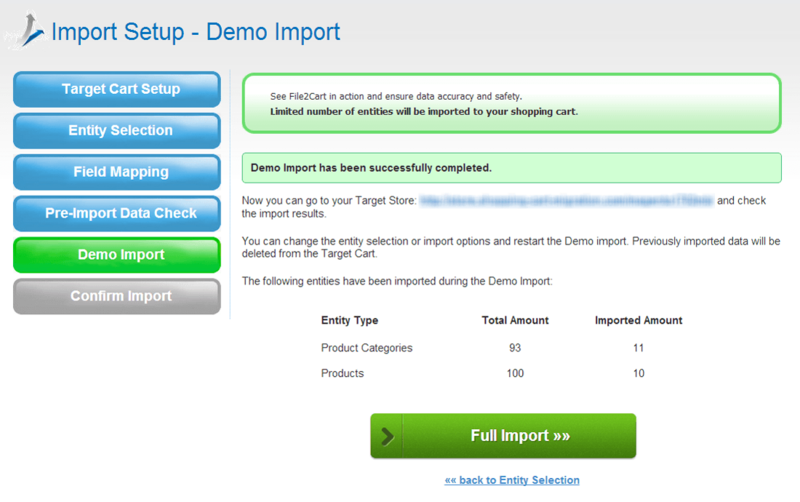 Note: You need to have 2 shopping cart installations (source and target) available online to perform import process.